I’m running out of pastors, authors and ministries I can wholeheartedly endorse. Whether it’s James MacDonald’s weekend antics at John MacArthur’s conference, or MacArthur’s tirade against Pentecostalism itself; I find myself having trouble finding a team to back. The latest to come under the microscope is Charlotte, North Carolina’s Steven Furtick, author of Sun Stand Still and Greater, and pastor of Elevation Church. Both books have been reviewed here favorably, and I have many times linked to Elevation sermon podcasts. I enjoyed the books. I enjoy his preaching style. Dare I say, I’ve learned a lot from his ministry. But the local NBC News affiliate in Charlotte is concerned about the house the Furticks are building as well as the inaccessibility about how it’s being paid for, or Furtick’s salary. You can watch that report by clicking here. And while the salary information is not forthcoming, there is also a concern about who sets that salary: In contrast to (founding denomination) Southern Baptist Convention policy, none of the board are from the church or even live in the immediate area, nor are they elected by members of the Elevate congregation. You can watch that report by clicking this link. The board of Elevation consists entirely of pastors from other megachurches. 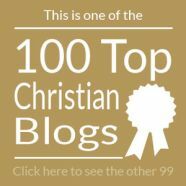 While this isn’t a “watchdog” blog, I respect these two writers who strive to hold church leaders accountable, in particular The Wartburg Watch. You can read their pieces — don’t miss the reader comments — at this link, this link, and this appeal to people to stop giving to rich pastors. The WCNC-TV story also has raised the broader issue of megachurch pastor compensation, as seen in this item, which appeared yesterday, about Perry Noble, who is also listed above as a board member of Elevation. 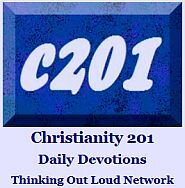 …Thinking Out Loud exists partly to celebrate the good that is taking place in various corners of the (capital C) Church. But as I stated at the outset, I’m growing rapidly disillusioned with the very ministries I so much want to endorse. At Disciple Dojo, there’s a great piece which summarizes both sides of the issue. But in conclusion, the writer calls this week’s events “a tempest in a teapot” which I feel understates what could be the unraveling of Steven Furtick’s ministry. And then, just to make it more interesting, blog readers there are asked to make a $10 monthly contribution. Churches like Futrick, Andy Stanley, Rick Warren and Perry Noble make up less than 2 percent of churches world wide. The vast number of churches people choose to attend are under 200. In Canada that number shrinks to 80 people on average. My point is, why make an issue about pastors and leaders who represent such a small minority, when the vast majority of kingdom work is being accomplished by average, run of the mill pastors who will never make it as speakers at Andy Stanley’s conference. Do these mega church pastors have influence? Of course. Are they doing a work for God. I believe so. But lets not forget that numbers are not the measuring stick of success. Jesus said that on judgement day there is only one phrase that we all want to hear, Well done good and FAITHFUL servant. There will be many servants who are nameless on this side of heaven who are rock stars in heaven. Good point. It’s so easy to focus on the ministries in the spotlight, and forget what’s being done in smaller churches, and even what’s taking place in living rooms or across kitchen tables. I totally agree with you! God is working… using faithful believers who may not have platforms, or celebrity status, but do have hearts totally surrendered to God. You make a good point Ralph to remind ourselves that mega churches aren’t the only churches. 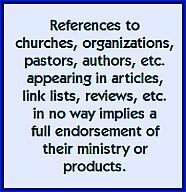 However, I think the putting the spotlight on mega church pastors remains a reasonable thing to do — they do indeed have more influence and as such they represent, to some degree, Christians and the wider church whether we like it or not. Because of this, I think mega church pastors *should* be held to a higher standard, especially in terms of how they relate to the culture (consumerism, in this case). Pope Francis is setting an excellent contrasting example of this. The same week that this stuff is going down with Furtick, the pope expelled Germany’s so-called “Bishop of Bling” and Francis set an example of simple living, avoiding the temptations of wealth that his position has held for generations. To his credit, I understand that Rick Warren “reverse-tithes” (he keeps 10% and gives 90% away). Why don’t we hear more of those kinds of stories from mega church pastors and televangelists? Let us therefore make every effort to do what leads to peace and to mutual edification. Do not destroy the work of God for the sake of food. All food is clean, but it is wrong for a person to eat anything that causes someone else to stumble. It is better not to eat meat or drink wine or to do anything else that will cause your brother or sister to fall. See my reply at Christian Book Shop Talk. This is my third attempt at a reply so I hope this one sticks. I ran the piece at two different blogs, and posted a response at the other one, because that the was the one I saw first. But I need to put these thoughts here as well. I think the article James wrote was excellent or I would not have linked to it. This issue has been hard for people to process, and sometimes more thoughtful writing is needed than simply presenting story links as I did with this one. I just found it ironic that at the end of this type of story, there was an appeal for monthly donations. I wrote the post very late last night — never a good idea — and have amended it on both sites in the light of day, when things are always clearer. Again though, thanks for reading my post and I hope this entire conversation spreads among the body of Christ in a way that sharpens us all in how we use our finances, regardless of what those finances may consist of. You mean ‘Porsche space’ right? You never know; maybe the reporter heard wrong.